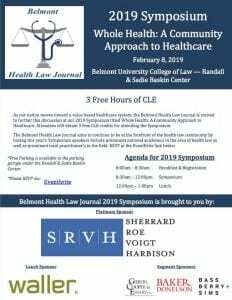 The Belmont Health Law Journal is excited to invite you to our 2019 Symposium, “Whole Health: A Community Approach to Healthcare,” sponsored by Sherrard Roe Voigt & Harbison. This year’s event aims to provide valuable insight to local attorneys about how hospitals, government payors, insurers, and other industry players are shifting focus to consider the impact of social determinants of health on the healthcare ecosystem. 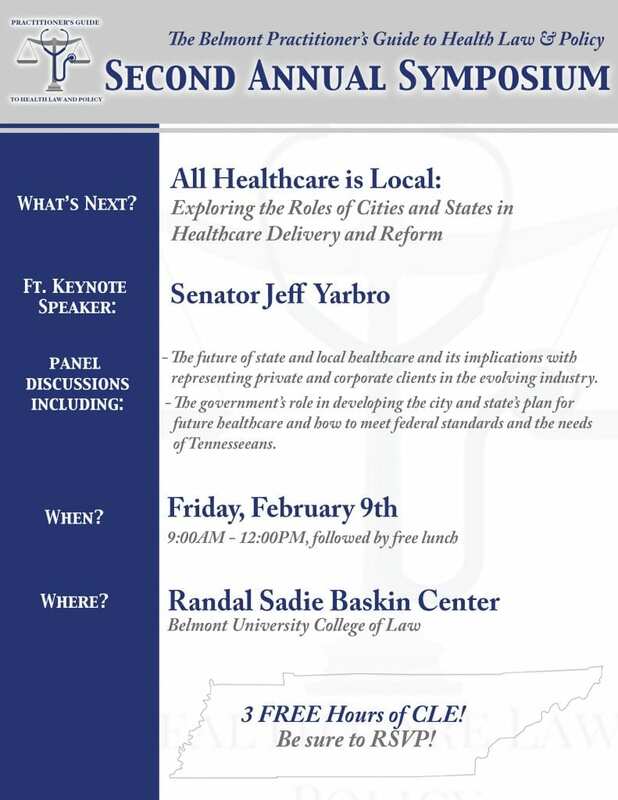 Attendees will receive up to 3 free CLE credits.